LOS ANGELES (KABC) -- Join ABC7 and the Disney-ABC Television Group to benefit those impacted by Hurricane Harvey. 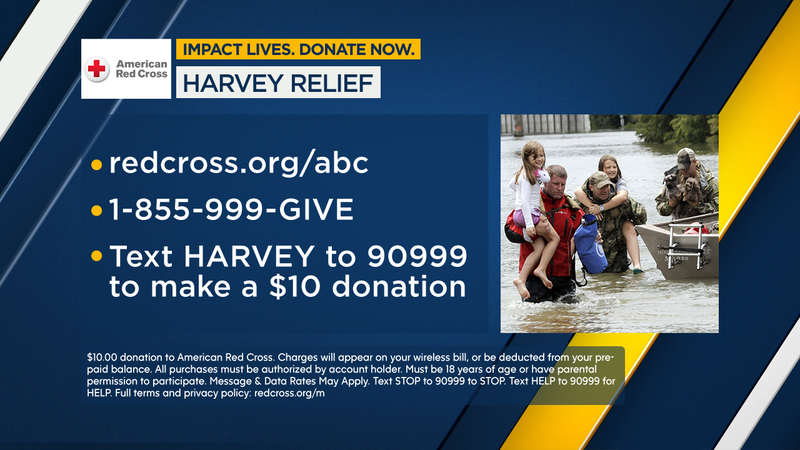 Disney and its local Houston station ABC13 are committing $1 million to the Red Cross for relief and recovery efforts for communities affected by Hurricane Harvey. ABC, Freeform, Radio Disney and across all social media, there was a call-to-action to donate to the American Red Cross, with those dollars going to benefit those most impacted by this devastating storm. We will have a phone bank from 4:30 a.m. until 7 p.m., and some of your favorite ABC stars will be helping out and taking your donations. Disney's last "Day of Giving" in 2012 raised more than $18 million to aid local communities impacted by Hurricane Sandy.